Tonix Pharmaceuticals stock has been on a wild ride today since announcing plans for a new public offering. Tonix Pharmaceuticals (NASDAQ:TNXP) says that it is holding a new public offering that has a total value of $15 billion. The company notes that it plans to use funds from this public offering to fuel a new Phase 3 study for TNX-102 SL, which is its lead product candidate. According to Tonix Pharmaceuticals, it will be selling Class A and Class B shares of its stock during the public offering. The shares will also come with warrants to purchase additional shares of stock when exercised. 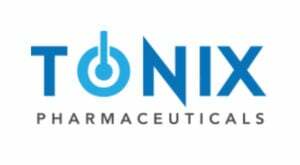 Tonix Pharmaceuticals is charging $3.50 per share for each Class A unit in the public offering. The company is also selling the Class B shares for $1,000 each. The Class B shares of Tonix Pharmaceuticals stock include one Series A Convertible Preferred Stock. Each of these is convertible into 286 shares of the company’s normal stock. The aggregate amount of Tonix Pharmaceuticals stock that is available for purchase in the new public offering is 4,285,714. This includes taking into account for the convertible value of the Class B shares. The amount of warrants also matches the number of shares being sold. The company notes that each of the warrants that are being included with its shares of Tonix Pharmaceuticals stock have an exercise price of $3.50. Investors will be able to exercise these warrants upon issuing and they will expire five years after that date. TNXP stock started out the day up 97%, but is now down 5% as of Friday afternoon. Article printed from InvestorPlace Media, https://investorplace.com/2018/12/why-tonix-pharmaceuticals-stock-is-moving/.